Audubon at Home thanks Board Member Doug Everhart and volunteer Phil Divine for updating our GIS map of Certified Wildlife Sanctuaries with data through November 2018. A process of regular updates will soon keep the map current. We need passionate volunteers across Virginia who can help persuade elected officials to support actions designed to reduce greenhouse gas emissions. If you would like to help make a difference with climate change and other important issues, please contact Glenda Booth. 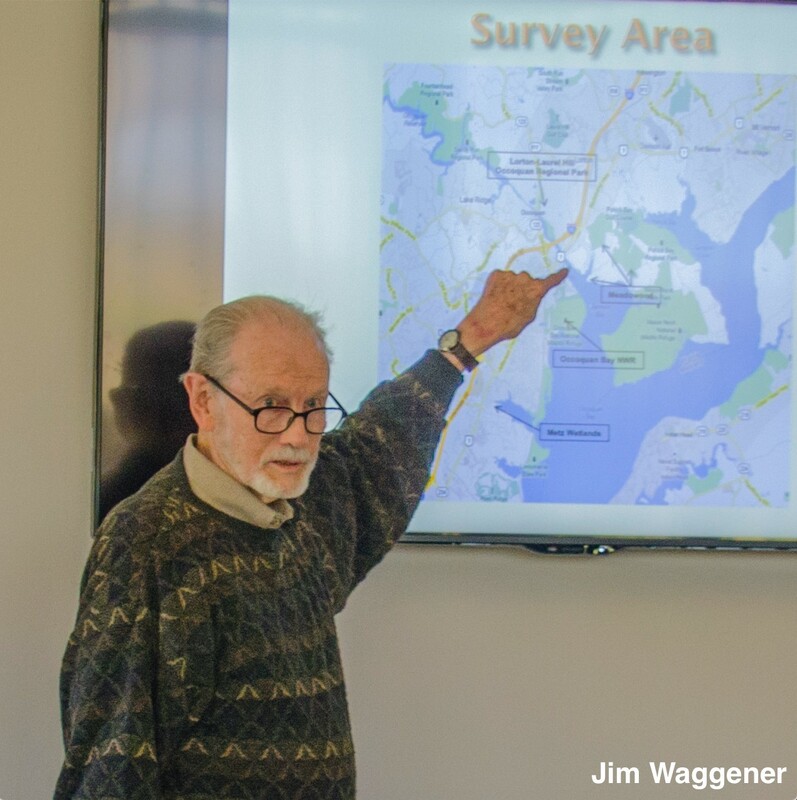 Every other Wednesday morning, as he has done for the last thirty years, Jim Waggener arises early and drives to Occoquan Bay National Wildlife Refuge or Meadowood Recreation Area, where he joins a band of volunteers who survey birds and other wildlife. Every Friday morning from April through October, Jim and other volunteers survey butterflies, dragonflies and damselflies at four sites in southern Fairfax County. Why do Jim and the other volunteers do this when they could be drinking a leisurely cup of coffee and reading the newspaper or sleeping in? They are Citizen Scientists, whose surveys create valuable population data used by conservation managers, scientists, and the general public to understand and protect our birds and other wildlife. 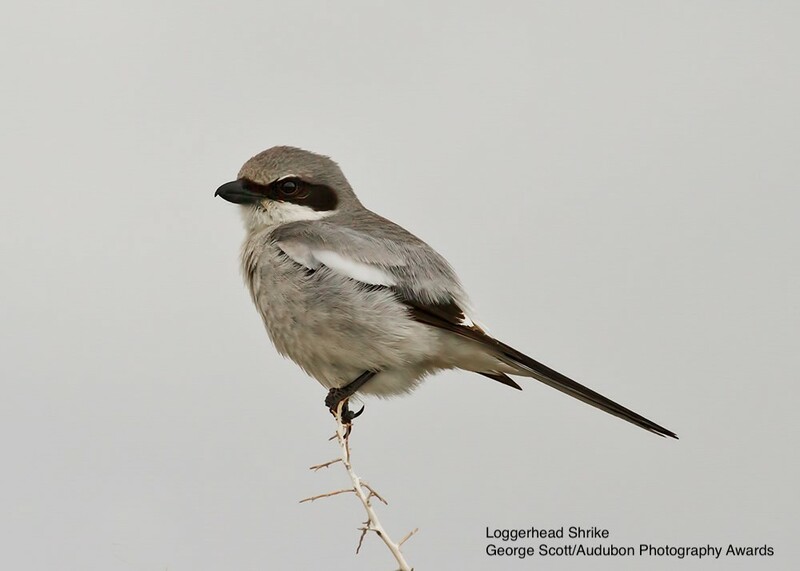 Most of us know that bird populations are in steep decline. During the last 40 years, songbird populations in the United States have declined by 40%. Citizen Scientists gather data on wildlife population distribution, abundance, habitat changes, and trends. Without survey data we wouldn’t know which birds and other wildlife are at risk and be able to implement conservation actions. Over the last thirty years, Jim Waggener and other volunteers have amassed more than 8,000 hours of field work and 56,000 hours of volunteer time, documenting 30,000 species records for one of the longest-running surveys in North America. They have identified 256 bird species at Occoquan Bay alone, about 80 species each of butterflies and dragonflies/damselflies, and more than 900 plants, annotated by site and date of bloom. 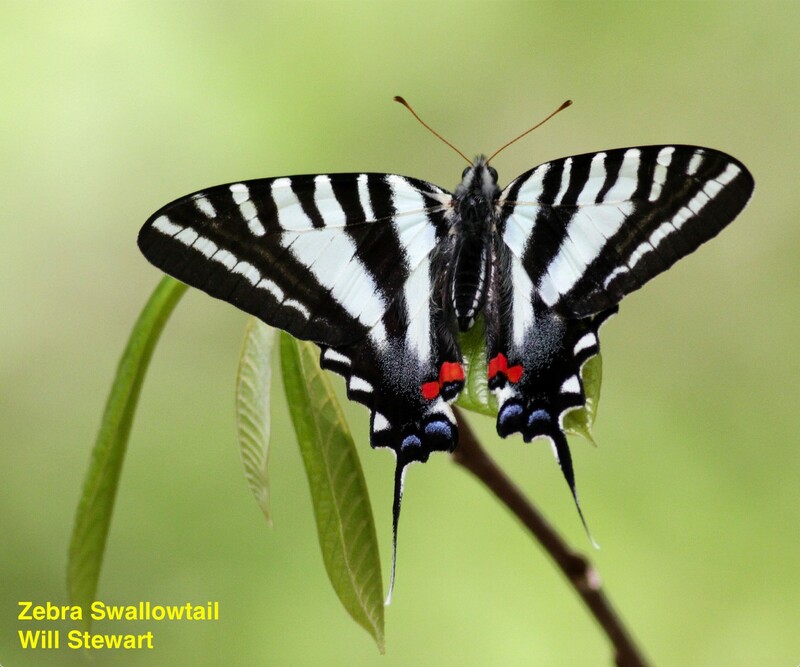 The bird data are being incorporated into Cornell Lab’s eBird database, and the butterfly and dragonfly/damselfly data are being added to the Pollardbase and Odonata Central database. Jim’s surveys are not the only ASNV Citizen Science projects. 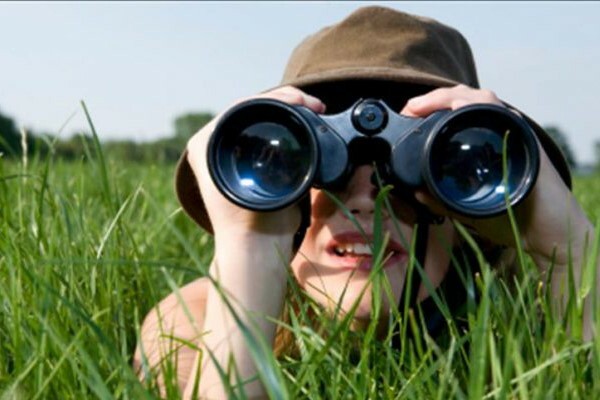 We participate in the Winter Waterfowl Count and the Great Backyard Bird Count in February, the Migratory Bird Count in May, the Northern Virginia Bird Survey in June, the North American Butterfly Association Butterfly Count each summer, and the Christmas Bird Count in December. We conduct butterfly counts in Huntley Meadows Park and will begin butterfly counts at Ft. Belvoir this spring. ASNV’s bird walk leaders routinely enter bird lists into eBird. You too can be a Citizen Scientist. Wildlife surveys offer an opportunity to enjoy nature as you create data to protect wildlife and our environment. Anyone can participate, and we welcome you to join ASNV’s Citizen Science activities. Check our website or send us an email at info@audubonva.org. Saturday, April 6, 9:00 a.m. to 12:00 p.m.
Back by popular demand! Do you love birds? wildflowers? frogs? fungi? or some other aspect of nature? Would you like to share that love with others in an organized way, but are not sure how to do it? If so, this workshop will answer a lot of questions and give you good tips on how to be a successful leader. We will spend some time in a classroom setting and follow that up with a walk to practice what you’ve learned. Register here. Instructor: Dixie Sommers has been an Audubon member since 1986 and became a serious birder in 2006, adding to her long interest in nature photography and travel. She is an avid e-bird user and enjoys using photography to help learn the birds and sharing her photos on www.ddpix.smugmug.com. In addition to favorite places in Virginia, her recent birding travels include Alaska, Cuba, Ecuador, Ohio, South Florida, Antarctica, and Argentina. Dixie lives in Alexandria, Virginia, and retired from the U.S. Bureau of Labor Statistics after a long career of counting jobs and workers. Now she counts birds! Sunday, April 14, 7:00 a.m. to 3:30 p.m. Spend a full day learning bird song in the field and on the trails with birding expert Greg Fleming. Some basic birding knowledge is a prerequisite, such as being able to identify some common local birds by sight. Bring a bag lunch; we'll be out in the field all day but will break for lunch at Leesylvania State Park. Register here. Instructor: Greg Fleming is a wildlife biologist who has spent most of his career performing bird surveys on eight different military installations in the Eastern and Central United States. He has recorded sightings of over 1,600 different bird species in North America, including the first ever sighting of Cinnamon Teal in Virginia, a feat that earned him recognition by the Virginia Society of Ornithology. Throughout his career, he has had a primary interest in habitat management for at-risk birds, as well as other wildlife. The concept is simple: Participants can bird in teams of two to five. Team members then make their own donations or secure pledges from friends,family members, colleagues, neighborhood merchants, etc. Then, during any 24-hour period between April 19 and May 19, teams search Northern Virginia to see how many bird species they can identify. The two principal rules are Have Fun and Raise Funds. For the rest, click here. Click here to register your own team or click here to pledge support for your favorite team. Instructor: Bill Young is a local writer and co-creator of the MPNature website, which is designed to teach people about the nature at Monticello Park. His book The Fascination of Birds: From the Albatross to the Yellowthroat explores the connections between birds and a broad range of subjects, such as biology, ecology, literature, music, history, politics, economics, religion, geography, physics, chemistry, linguistics, the visual arts, the performing arts, sports, and comedy. Bill's YouTube channel, which features his natural history videos, has more than 500 subscribers and more than 320,000 views. Sunday, May 19, 7:00 a.m. to 3:30 p.m. Spend another full day learning bird song in the field, this time focusing on late migrants. Some basic birding knowledge is a prerequisite, such as being able to identify some common local birds by sight. Bring a bag lunch; we'll be out in the field all day but will break for lunch at Leesylvania State Park. Register here. Marine Birds and Mammals of the Southeastern U.S.
Tuesday, June 4 and Tuesday, June 11, 7:00 to 9:00 p.m.
Marine birds have feathers, and marine mammals breathe air. But in almost every other way, these ocean denizens bear almost no resemblance at all to their counterparts on land. This workshop introduces participants to the identification, foraging strategies, behavior, and nesting/breeding ecology of marine birds and mammals typical of the southeastern Atlantic and Gulf coasts of the United States. Join Dr. Chris Haney, founder of Terra Mar Applied Sciences, for this two-part classroom instruction and pelagic field trip. Register here. We are looking for applications from individuals, non-profit organizations, and public schools. Projects submitted by individuals should have a connection to public or non-profit lands. Grants are available for projects that will protect or improve habitat for birds, butterflies, other wildlife, and/or native plants in ASNV’s territory, including Arlington, Fairfax, Loudoun, Prince William, and Stafford Counties, and the independent cities of Alexandria, Fairfax, Falls Church, Fredericksburg, Manassas, and Manassas Park. You may apply between April 1 and May 10, 2019 by requesting an application form from Greg Butcher, ASNV Vice President, at gregbutcherwi@hotmail.com. Grant awards will be announced by June 10, 2019. Successful applicants must sign an agreement to provide periodic progress reports and a project completion report specifying how the funds were expended and the project outcomes. Please send us your project­­–the birds and other wildlife of Northern Virginia need your help! To volunteer or for more information, contact us here. Congratulations to Kirk Treacle, 2019 Hog Island Scholarship Recipient! In February, nine ASNV participants traveled to Panama for a birdwatching tour. Gerry Abbott, the ASNV coordinator, worked with Holbrook Travel for travel and tour arrangements. Kristine “Kris” Lansing, a local participant, thoroughly enjoyed the experience. Kris became interested in birding six years ago and is certified as a Virginia master naturalist. She leads the weekly bird walk at Great Falls Park and helps lead the Riverbend Walk. She has also traveled to Cuba with ASNV. Kris went on both trips to become a better birder and both trips accomplished that goal. She described the Panama trip as a blur of bird colors - beautiful and different from local birds. She also saw various mammals, including an anteater, western night monkey, Rothschild racoon, and sloths. Most of the bird expeditions took place during the day, but the birders also went on a night ride and saw owls. The birders could see an entryway to the Panama Canal from their accommodation at the Gamboa Rainforest Resort. When they visited the canal, they saw a Swallow-tailed Kite in its nest. Two of the birders’ accommodations, Canopy Lodge and Canopy Tower, are part of the Canopy webcam group, which was one of Kris’s incentives to take this trip. 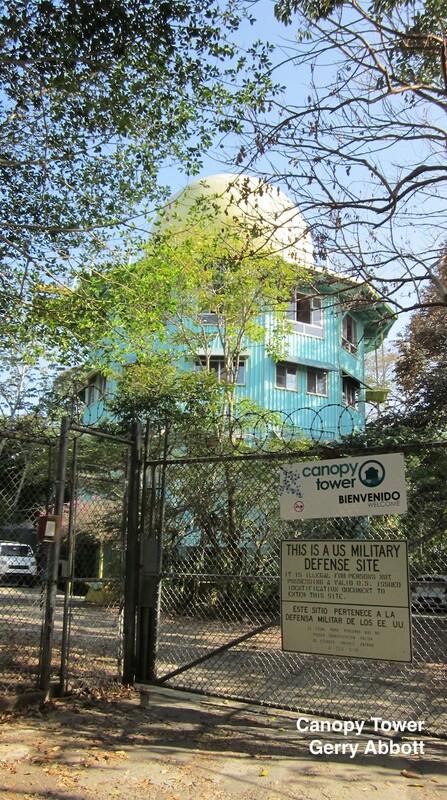 Canopy Tower is a former U.S. army radar tower turned eco-tourism complex. Kris described her stay there as “living in a big tin can”. From the 5th floor main lobby, guests could climb a ladder to the tree canopy and see birds at eye-level. Kris recommends ASNV birding trips for their easy travel arrangements and experienced local contacts – “Just do it”, she says. After signing up, travelers only need to show up. Holbrook Travel handles all travel planning. Kris added that interested travelers, and especially novice birders, should check the itinerary of any trip. The Panama trip provided eight hours of birding each day, but the schedule was not demanding. Kris said that the birders were on the road by 7-7:30 a.m. There was a mid-day lunch stop, or lunch where they were staying on a day when they were not in transit between accommodations. An afternoon siesta followed the lunch stop. At 2-3 p.m., the birders went back out until 6-6:30 p.m. for a bird count. Dinner followed the bird count, and evenings were free except for the day that included the night ride. In Panama, people could take breaks in the mornings or afternoons because the birders spent multiple nights in the same place. Travel between accommodations was broken up among the days of the trip. The longest travel day was four hours, and other travel days were only two hours. In Panama, the birders could eat the local fruit and drink the local water, although they used bottled water whenever possible. Dietary special needs were accommodated, and a variety of food was served daily. Sunday, April 7, 7:30 to 10:30 a.m.
Getting there: Take the Reston Parkway north from the Dulles Toll Road or from Baron Cameron Avenue. Turn right on Bright Pond Lane and park around the cul-de-sac and along the street. Wednesday, April 10, 8:30 to 11:30 a.m.
Join us to explore this park's trail and pond in nearby Loudoun County. Jean Tatalias. Can be muddy after rains. Sponsored by the Northern Virginia Bird Club. Saturday, April 20, 8:00 to 9:45 a.m.
Getting there: From Arlington, take I-66 West to exit 69 for VA 237 (N. Sycamore). The park is about ½ mile on your left. From further west, take I-66 East to exit 69 (Fairfax Boulevard/Washington Boulevard) Turn left to go north on VA 337 (Sycamore Street). The park on the left at 2400 North Sycamore. Or take the Orange Line Metro to the East Falls Church Metro Stop and walk north ½ mile on Sycamore Street. Thursday, April 25, 8:30 to 11:30 a.m. The scrub fields of Laurel Hill are rich with birds as their type of habitat gets harder to find in our denser suburban areas. Phil Silas leads. Sponsored by the Northern Virginia Bird Club. Getting there: From I-495, take I-95 South about 13 miles to Exit 163 (Lorton Road) Continue 1.4 miles west on Route. 642 (Lorton Road) Turn left on Route 611 (Furnace Road) and then immediately right onto Dairy Road Proceed to the parking lot where we'll meet. Sunday, April 28, 7:30 to 10:30 a.m. 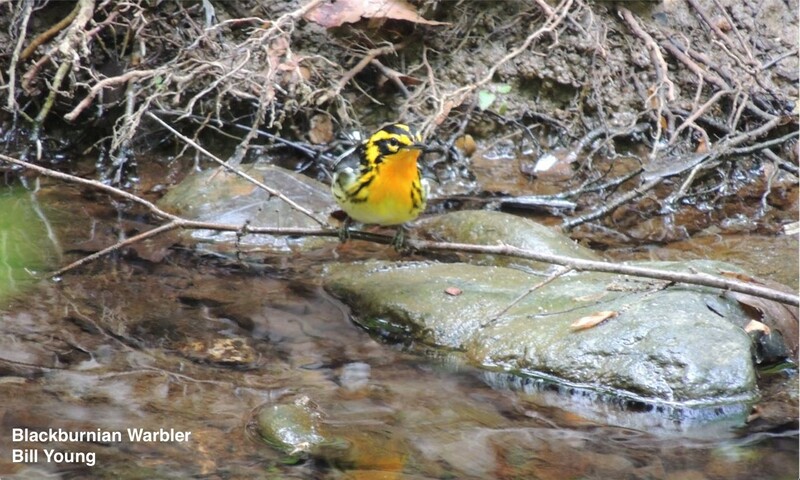 The trail is usually a great place for woodland and stream-side birds, and this time of year should be great for finding them. Joanne and David Bauer lead. Sponsored by the Reston Association, the Bird Feeder of Reston, and ASNV. Getting there: From I-66 West, take Exit 60 to go north on Route 123. Turn left on Hunters Mill Road/Route 674. Turn left on Lawyers Road, Route 673. Turn right on Twin Branches Road. Park near intersection with Glade Drive and meet leaders at the corner. Wednesday, May 8, 8:30 to 11:00 a.m.
Getting there: From VA-267 W/Dulles Toll Road take exit 14 (Hunter Mill Road/VA-674). Turn left onto Hunter Mill Road (VA-674), right onto Sunrise Valley Drive, left onto S Lakes Drive, left onto Twin Branches Road. Then take third right onto Glade Drive. Meet at the Nature House at 11450 Glade Drive in Reston. Saturday, May 11, 8:30 to 10:30 a.m. Registration required; check the website. Getting there: From I-495, take I-95 South 7 miles to Lorton exit. Go left (east) on Route 642 to Route 1. Go right (south) on Route 1 and then left (east) on Gunston Road, Route 242. In 4 miles, turn right into Mason Neck Management Area. 7301 High Point Road, Lorton, VA 22079-4010. Sunday, May 12, 7:30 to 10:30 a.m.
Getting there:Take the Dulles Toll Road West, to Exit 13, Wiehle Avenue. Turn left onto Wiehle, Right onto Sunrise Valley Drive, Left onto Soapstone Drive, and then Right onto Glade Drive. Meet in the parking lot of the Glade Community Pool and Tennis Courts. 11550 Glade Drive. Thursday, May 16, 8:30 to 11:30 a.m. The trails lead along woods, fields, and brush—great habitats for a range of birds on a May morning. Phil Silas leads for the Northern Virginia Bird Club. Sunday, May 19, 8:00 a.m. to 12:00 p.m.
Getting there: From I-66, take Route 234 south (exit 44). Travel 4.5 miles and turn right onto Route 28 (Nokesville Road). Travel 1.5 miles and turn left onto Route 619 (Bristow Road). Travel ¼ mile and turn right onto Iron Brigade Unit Avenue. The parking lot is located on the left at the traffic circle. 10708 Bristow Road, Bristow VA 20136. Sunday, May 26, 7:30 to 10:30 a.m.
Getting there: From westbound Dulles Access Road, go south on the Fairfax County Parkway. From the Parkway, go west on Fox Mill Road and take the first right turn into the parking lot and park by the ball fields. 2431 Fox Mill Road, Reston VA 20171. Wednesday, May 29, 8:30 to 11:30 a.m.
Getting there: From I-195, take Route 1 south for 3 miles. Turn right on Lockheed Boulevard and in ½ mile turn left into park entrance. 3701 Lockheed Boulevard. Meet in parking lot. Sunday, June 2, 8:00 a.m. to 12:00 p.m.